Noodles in a smooth, creamy, and very cheesy sauce. A source of protein for sustained energy on the trail. Prepare in the stand-up pouch, an easy way to cook and eat your meal. Pack light. Eat right. With a Mountain House easy-to-prepare stand up, zipper pouch, it's never been easier to make a great tasting meal! Simply open, pour in boiling water, and zip. Then eat right out of the pouch. Noodles in a smooth, creamy, and very cheesy sauce. A source of protein for sustained energy on the trail. Prepare in the stand-up pouch, an easy way to cook and eat your meal. Pack light. Eat right. 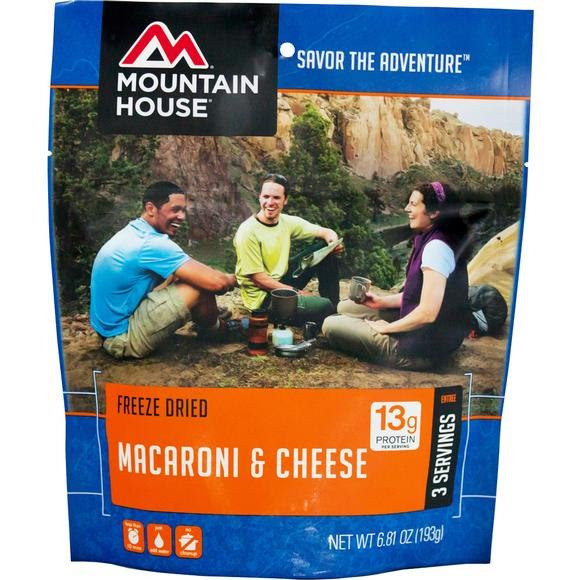 With a Mountain House easy-to-prepare stand up, zipper pouch, it&apos;s never been easier to make a great tasting meal! Simply open, pour in boiling water, and zip. Then eat right out of the pouch. Our pouches have a shelf life of at least 7 years from the date of manufacture as long as the pouch is stored unopened in a cool area.